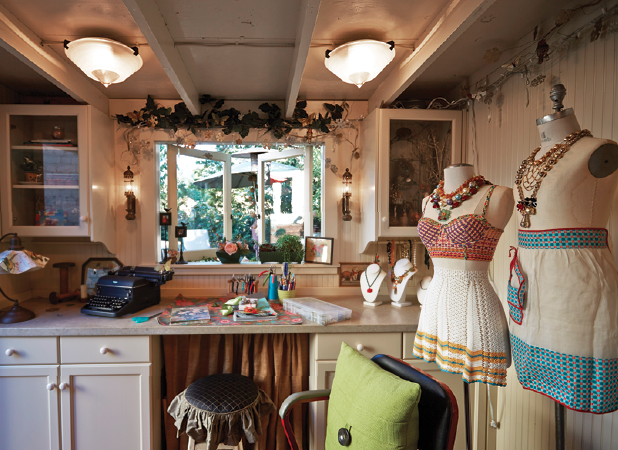 When Joy Wilkins decided to renovate an old storage structure into a “she shed” to house her jewelry business, she found that what was important to her—quiet location, private setting, attractive landscaping—wasn’t even on her husband’s radar. 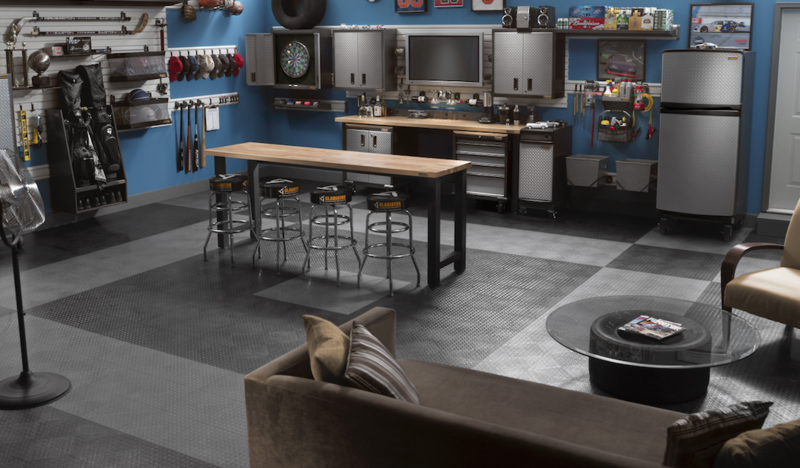 Wilkins’ husband, Jerry, president of Custom Kitchens by John Wilkins, in Oakland, Calif., and an avid race car enthusiast, had his own tricked-out man cave. 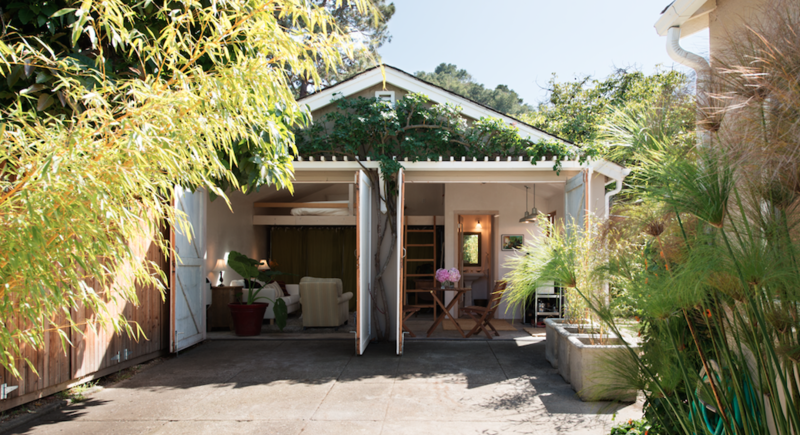 With the soaring popularity of she sheds—the female version of man caves—remodelers are finding distinct gender differences when it comes to renovating “retreat” spaces. Many women want a secluded escape, while men prefer to entertain friends. 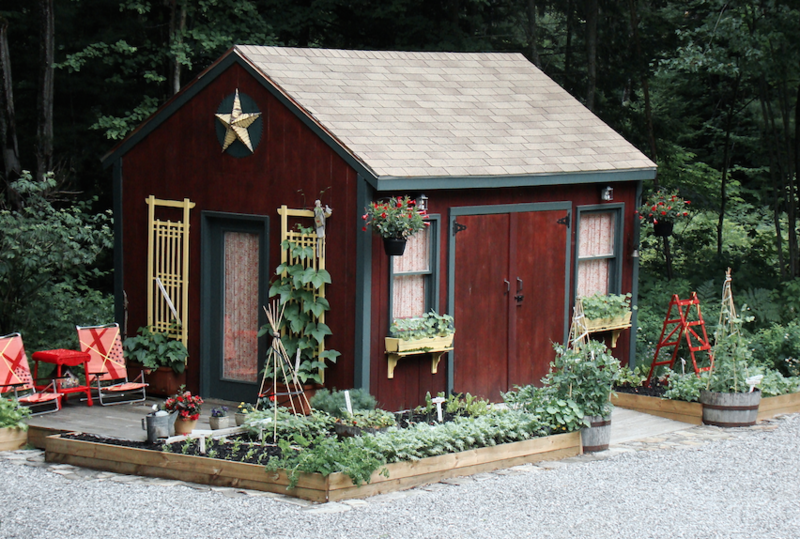 Women tend to value simplicity over high-tech gadgetry, and while men appreciate the fun atmosphere of a game room, they don’t place much value on decorative landscaping, which is high on most women’s list of desirables. 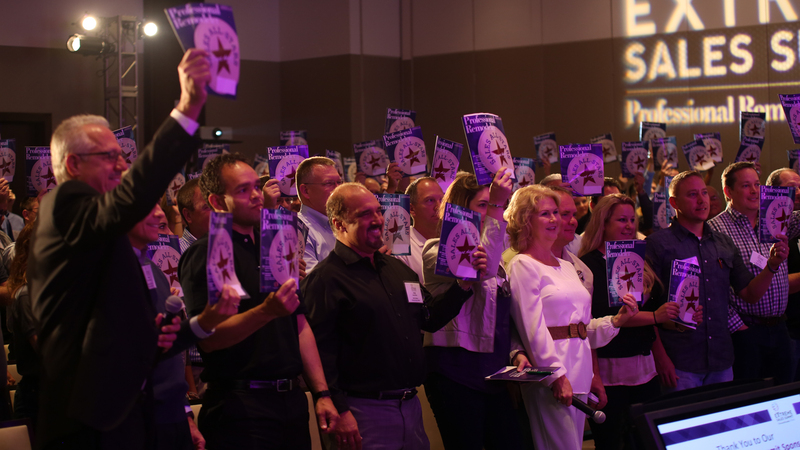 Here, Pro Remodeler highlights some of those key differences in a visual journey through customized gender-specific spaces. 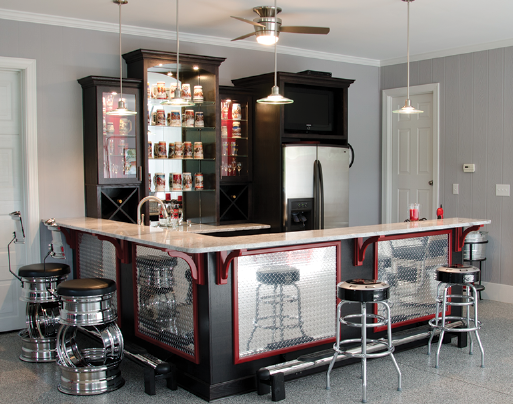 This garage man cave by Carpet One Floor & Home, in Roxboro, N.C., includes stainless steel elements with a full bar, a refrigerator, and entertainment area. Interestingly, the cliché of a man retreating to watch sports in the garage may have a basis in science. A 2011 UCLA study found that men’s stress hormones dropped when they spent time at home doing solitary leisure activities. 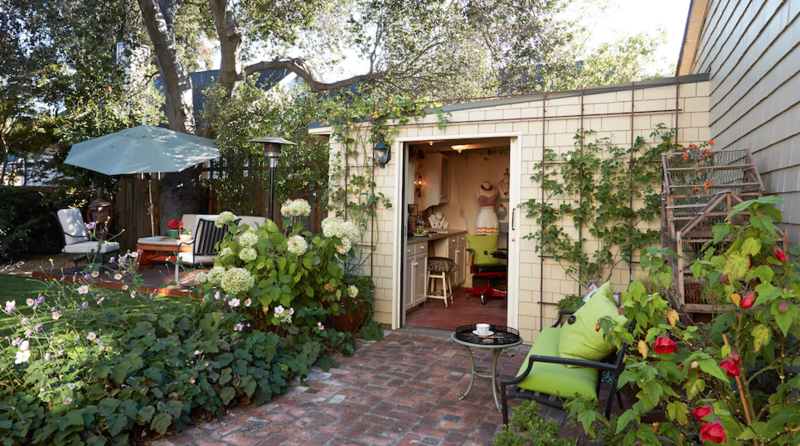 The exterior of Joy Wilkins’ she shed (below, bottom) has a quaint sitting area at the entrance as well as a secluded patio for reading or relaxing. A cozy brick walkway flanked by carefully selected colorful plantings ushers visitors into a snug, comfortable room. The interior of Wilkins’ space (below, top) includes soft overhead lighting as well as a variety of task lights with dimmers over the workspaces. Carriage lanterns her husband brought back from England and twinkle lights emit a soft glow. There’s also an abundance of wall cabinetry for storage and glass display cases to hold collectibles. 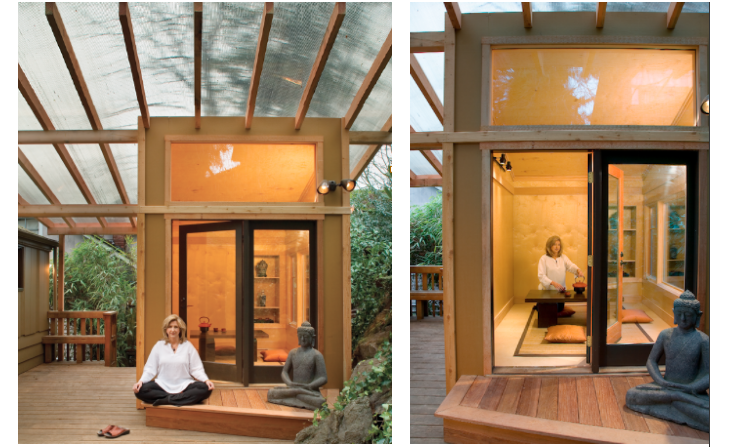 Cynthia Nolting-Greif, of Seattle-based Greif Architects, took an existing shed and transformed it into a detached space for meditation and yoga (below, top). 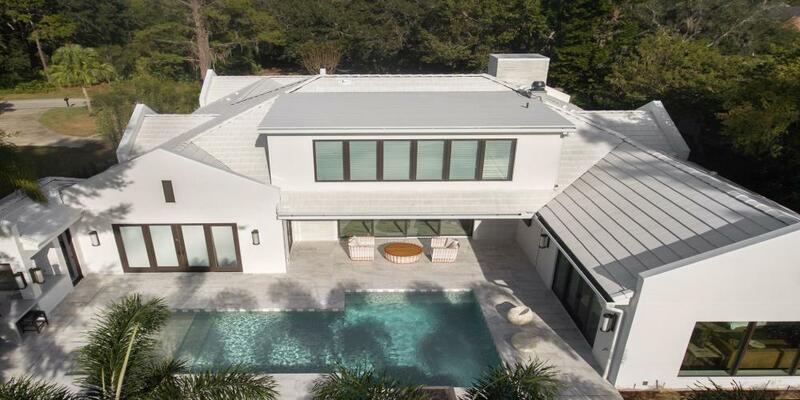 Nolting-Greif incorporated pre-finished exterior and interior wall and ceiling panels with soft colors and lighting. Generously sized windows and a glass door make the outdoors an integral part of the room. Simple furnishings complete the space. 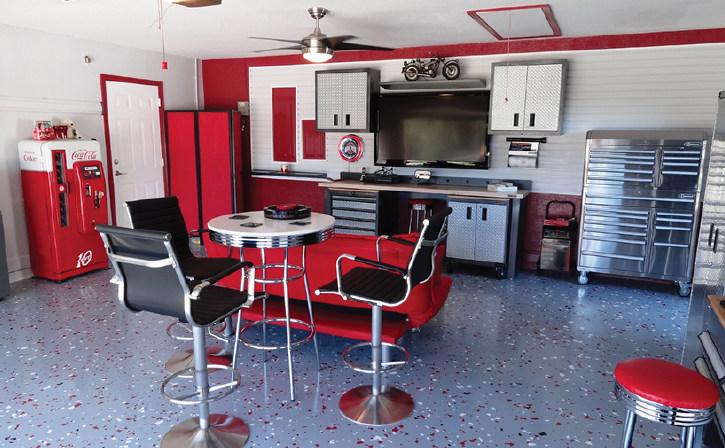 This man cave by Your Garage Organizer, in Dania Beach, Fla., includes a classic tool cabinet, along with a high-top table and chairs, vintage color-coordinated flooring, and LED TV (below, bottom). An old-fashioned Coke machine and model motorcycle match the red and black theming and add charm. 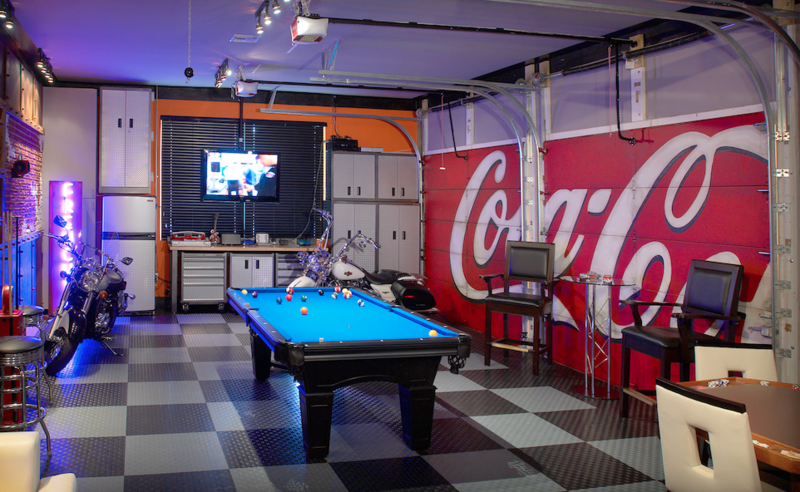 Amenities in Jerry Wilkins’ man cave (below, top) include a custom floor, Sub-Zero refrigerator, extra-large sink big enough for car parts, custom Sonos sound system that extends out to the rear yard, and a 24-inch LED screen for watching the games. The décor features a monochromic color scheme and abundance of straight lines. 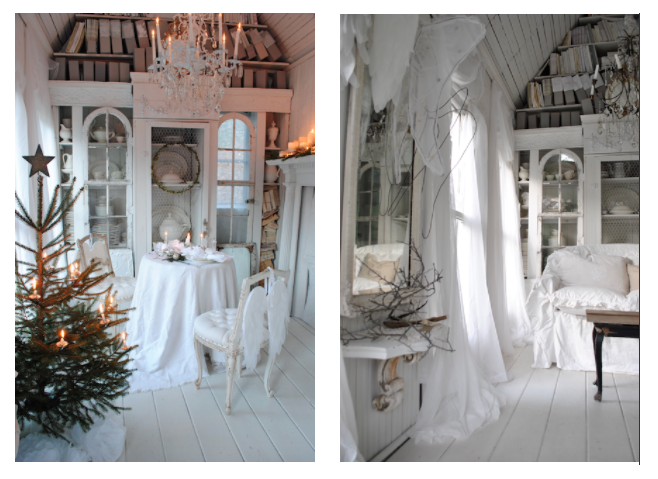 Sandy Foster’s 125-square-foot Victorian she shed (below, bottom) received a lot of media attention a few years ago. Foster has spoken many times about it, comparing the space to her husband’s man cave and discussing the ways their respective retreats have helped their marriage. 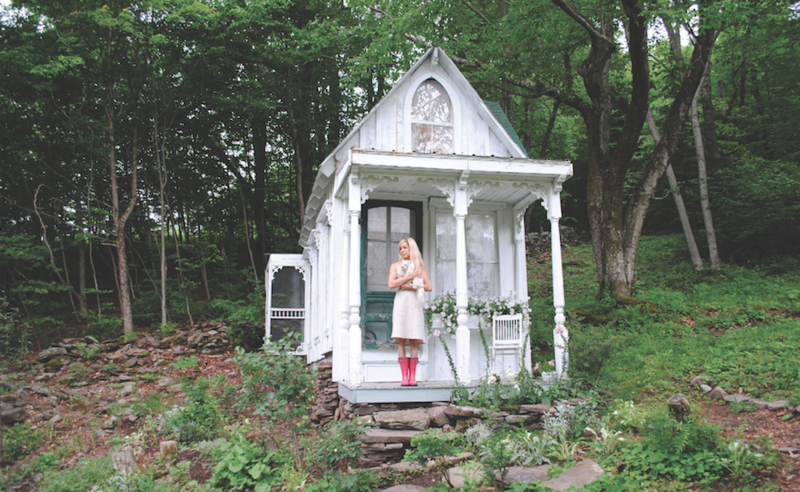 She likens her peaceful white room to a tree house to which you can run anytime, nip inside, and pull up the ladder. 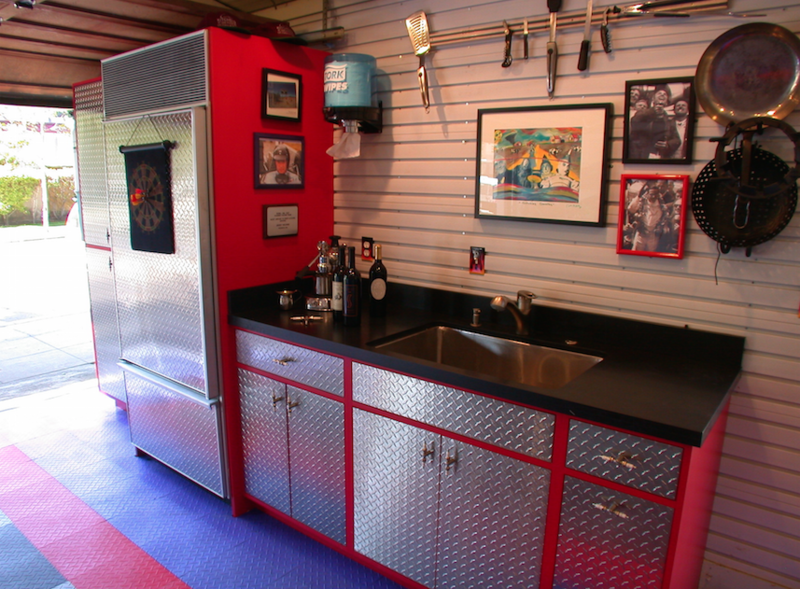 If you have your own man cave or she shed, or have designed one for a client, please share! Send images to ibush@sgcmail.com, with your company name and location, and we'll add them to our gallery. Elizabeth Mack is a freelance writer based in Nebraska.